Kevin O’Leary, one of North America’s most successful entrepreneurs, reveals the secrets that made him rich, and shares his personal advice for readers from every walk of life. Kevin describes his incredible journey, from his sometimes difficult childhood to the way he built his first company, managed personal pressures, and ultimately achieved remarkable success. His advice is engaging and practical – and will help those who read it become the best entrepreneurs and business people that they can be. Topics cover business, money and life, including: How to find your calling and turn your talents into a profitable venture; building a dream team; transforming adversity into opportunity and making and growing your business–and your money. 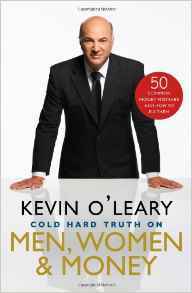 Kevin O’Leary will take you on a behind the scenes look at his two hit shows, Dragons’ Den & Shark Tank. He customizes every presentation for his audience to bring unique business information to each event. He’ll share entertaining and insightful outtakes from his TV shows – video’s you can’t see anywhere else, along with a current economic overview and how it relates to your industry, and finally he’ll be a ‘secret agent’ for your industry with insights into how your industry is performing, where the innovation is coming from and more. All based on a content review of your industry prior to the event. Kevin O’Leary’s impressive reputation has been built upon his entrepreneurial vision, investment smarts and drives to succeed. 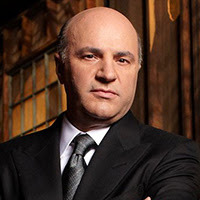 In addition to being one of the Dragons, O’Leary is the co-host of BNN’s SqueezePlay, the host of BNN’s O’Leary Live, and a ‘Shark’ on the ABC show, Shark Tank. He is also chosting the CBC News world’s business show, Lang & O’Leary Exchange, Chairman of O’Leary Funds, and the chairman of the investment committee of Boston’s 107 year old Hamilton Trust. Born in Montreal, O’Leary is the son of a United Nations ILO official, which contributed greatly to his diverse cultural and educational experiences. He was educated in countries around the world, and he received an Honours Bachelor’s degree in Environmental Studies and Psychology from the University of Waterloo. In 1980, O’Leary earned his MBA from the University of Western Ontario. In 1986, O’Leary co-founded SoftKey Software Products, and by the late 1990s, SoftKey had acquired numerous competitor companies including Compton’s New Media, The Learning Company, Mindscape and Broderbund. In 1999, the company was sold to the Mattel Toy Company for $3.7 billion, which is one of the largest deals ever done in the consumer software industry. O’Leary became co-investor and a director in Storage Now, and in 2007, he joined the advisory board of Genstar Capital LLC. As a self-proclaimed “Eco-preneur” O’Leary’s focus is on investments that make money and are environmentally friendly. He is the founding investor and director of Stream Global, and is currently working as the entrepreneur/investor co-host for the Discovery Channel’s, Discovery Project Earth, a new program that explores innovative ways man could reverse global warming.